Newest Assisted Reproductive Technologies Outcomes Data Released; SART Reports 59,466 ART Babies Born; ART Multiple Birth Rates Continue to Decline - Building Families, Inc. 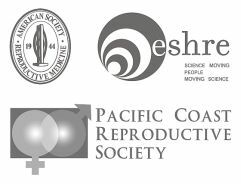 The Society for Assisted Reproductive Technology has released the latest data on assisted reproductive technologies in the United States confirming that previous years’ positive trends are continuing in some key areas. SART’s IVF Success Rate National Summary aggregates data from 379 US clinics, for 154,412 cycles resulting in the birth of 59,446 babies. Again this year, SART clinics reported lower numbers of multiple births from ART cycles. This can be credited to lower numbers of embryos transferred per cycle and an increased use of elective single embryo transfer, particularly in younger age groups. These treatment choices led to reductions in twin, as well as higher-order multiple births across every age group. Live births from cycles using frozen-thawed embryos were up across all ages. SART President, G. David Ball, PhD, said, “We are pleased that this year’s national data reflect the improvements in patient care, counseling and laboratory technique that SART continually strives for. And we are very proud of our reporting system which allows us to quickly and accurately provide the public with the latest national and clinic-specific ART data. We have worked to make the National Summary and the individual clinic reports user-friendly with drop-down boxes so that users can search particular criteria- such as year, treatment and diagnosis- and a hover-text feature to provide clear definitions of technical terms when the user rests the cursor on the text.